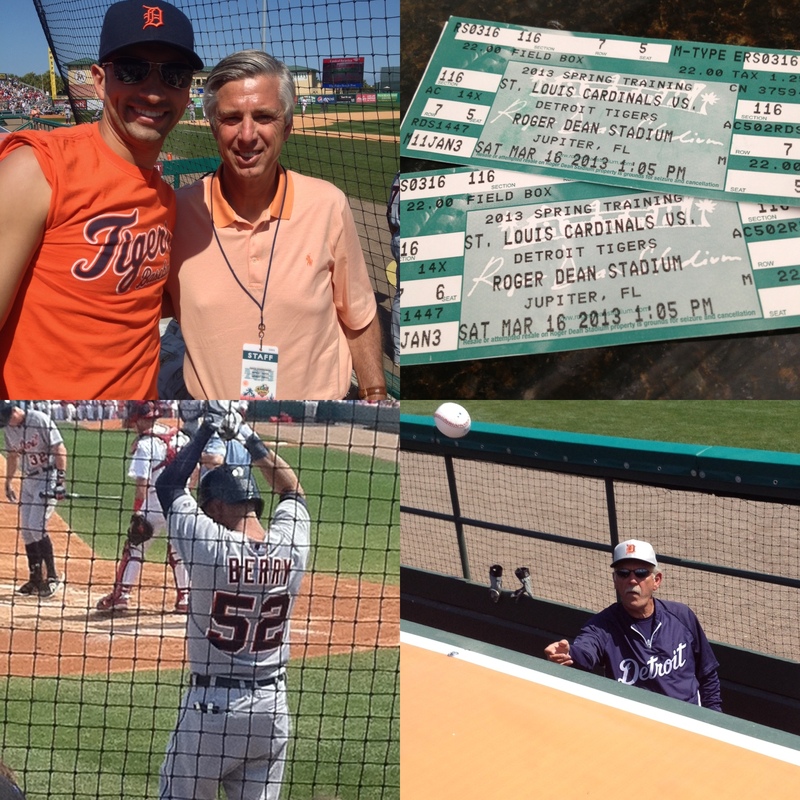 The Detroit Tigers played the St. Louis Cardinals during spring training at Roger Dean Stadium in Jupiter, FL. Motown fans cheered the Tigers to victory with the final score of 3-0. The Tigers management graciously interacted with the fans. General Manager Dave Dombrowski posed with a fan (top left), while Manager Jim Leyland (lower right) autographed a ball for a young fan. The best part was the sunshine and the win.